Recognized around the world for its association with adventure, the Rolex Explorer I was inspired and worn in the first ascent of Mount Everest by Sir Edmund Hillary and Tenzing Norgay. Available in either 36mm or 39mm case sizes, the Explorer I's easily legible numerals and hands make timekeeping easy, wherever you find yourself. The perfect blend of class and adventure all built into a shock resistant watch, ensuring excellent reliability and protection against corrosion. Thanks to its unique combination of style, elegance and durability, the Rolex Explorer I is a highly valuable wristwatch, capable of impressing in almost any situation. Originally released in 1953, the Rolex Explorer built upon the success of previously existing Oyster models and was designed to meet the needs of mountain climbers, explorers and other adventurers. Indeed, the watch is recognised as being one of the first to reach the summit of Mount Everest, making it synonymous with extreme climbs. With that being said, thanks to its sporty appearance and distinctive 3-6-9 Arabic dial, the Explorer has also attracted the admiration of serious luxury watch collectors and more casual Rolex customers alike over the years. In this post, we more closely examine the history of the Rolex Explorer, starting with the first ever model. Since the 1930s, many explorers had been relying on the Rolex Oyster Perpetual Chronometer to assist them during expeditions up some of the world's highest mountains. In 1953, Sir Edmund Hillary and Tenzing Norgay became the first people to reach the summit of Everest and did so wearing a Reference 6350. Later that year, the Reference 6350's dial was updated to include the word 'Explorer' and the collection was born, paying tribute to Hillary and Norgay's accomplishment in the process. The model was defined by its 34mm steel case, as well as a new Twinlock winding crown and Arabic dial markers on the 3, 6 and 9 o'clock positions. 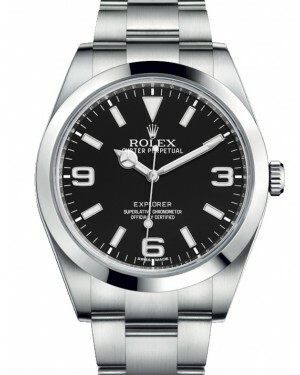 In terms of features, the first Rolex Explorer was able to perform at temperatures as low as -20? and offered water resistance for up to 50 metres. Additionally, its dial was highly legible, making it useful in just about all conditions. After around a year, this model became the Reference 6150, with an increased case size of 36mm. Before the end of the decade, in 1959, the Reference 6150 was replaced by the 6610. As far as the aesthetics were concerned, this model looked similar to its predecessor, although it did have a flatter back. More importantly, however, this model saw an improvement to the movement with the introduction of the calibre 1310. 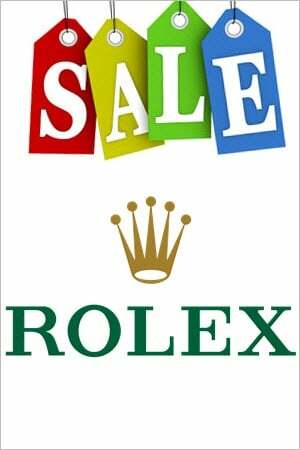 Around four years later, in 1963, Rolex introduced the next model in the collection's history, the Reference 1016. This model would go on to have an exceptionally long production cycle, with new timepieces being created all the way up to 1989. As a result, it became by far the best-selling Explorer model up until that point. Visually, there were very few changes to the preceding Reference 6610 in the early days, although later on in its life cycle, the Oyster bracelet received solid links and the luminous radium accents were replaced with tritium. Yet, the main improvements were related to the performance of the watch, which included a new movement in the form of the calibre 1560 and increased water resistance of up to 100 metres. During the 1970s, the movement was improved with the calibre 1570, and a hacking feature was added, allowing for more precise time setting. After more than 25 years, Rolex replaced the Reference 1016 with a new model, officially known as Reference 14270. This model is often credited with taking the Explorer collection into the modern era, although its changes were not universally popular among watch enthusiasts, who liked the classic, sporty style of previous models. Nevertheless, Reference 14270 introduced a sapphire crystal, offering far superior protection against scratches, as well as a lacquered dial, which replaced the matte dial utilised on its predecessor. Applied indexes replaced the printed dial markers and the movement was now the more up-to-date calibre 3000. The most recent update to the Explorer collection was unveiled in 2010, with the launch of the Reference 214270. This model brought about what may well be the most significant change to the collection in many decades, as the dial size was increased to 39mm, in order to keep up with the modern trend for larger watches. Powered by the calibre 3132, the Reference 214270 also saw a move to white gold dial numerals, which lost their luminous quality as a result. Another design change saw a repositioning of the word 'Explorer' to above the 6 o'clock mark. In 2016, the model was updated to re-introduce luminous numerals and adjust the proportions of the hands.